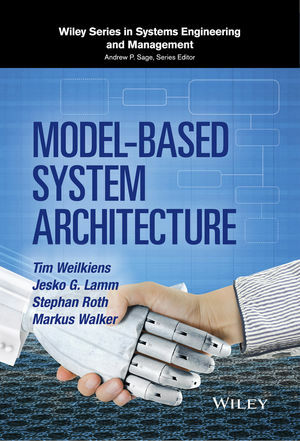 This book combines the emerging discipline of systems architecting with model-based approaches using SysML. The early chapters of the book provide the fundamentals of systems architecting; discussing what systems architecting entails and how it benefits systems engineering. Model-based systems engineering is then defined, and its capabilities to develop complex systems on time and in a feasible quality are discussed. The remainder of the book covers important topics such as: architecture descriptions; architecture patterns; perspectives, viewpoints, views and their relation to system architecture; the roles of a system architect, their team, and stakeholders; systems architecting processes; agile approaches to systems architecting; variant modeling techniques; architecture frameworks; and architecture assessment. The book's organization allows experts to read the chapters out of sequence. Novices can read the chapters sequentially to gain a systematic introduction to system architecting. Model-Based System Architecture is a comprehensive reference for system architects and systems engineers in technology companies. This book will also serve as a reference to students and researchers interested in functional architectures. Tim Weilkiens is the CEO at the German consultancy oose Innovative Informatik and co-author of the SysML specification. He has introduced model-based systems engineering to a variety of industry sectors. He is author of several books about modeling and the MBSE methodology SYSMOD. Jesko G. Lamm is a Senior Systems Engineer at Bernafon, a Swiss manufacturer for hearing instruments. With Tim Weilkiens, Jesko G. Lamm founded the Functional Architectures working group of the German chapter of INCOSE. Stephan Roth is a coach, consultant, and trainer for systems and software engineering at the German consultancy oose Innovative Informatik. He is a state-certified technical assistant for computer science from Physikalisch-Technische Lehranstalt (PTL) Wedel and a certified systems engineer (GfSE)®- Level C.
Markus Walker works at Schindler Elevator in the research and development division as elevator system architect. He is an INCOSE Certified Systems Engineering Professional (CSEP) and is engaged in the committee of the Swiss chapter of INCOSE.